Does anyone else out there despise grocery shopping as much as I do? It is my least favorite chore... in fact, I'll wait until we have NOTHING left in the fridge (don't worry, my hubby finds things to eat/or becomes inventive) until it's time to go back to the store. I'm not sure if there was EVER a time in my life where I actually enjoyed it. I will do laundry ALL day long (washing, folding, and putting away) before going to the grocery store. 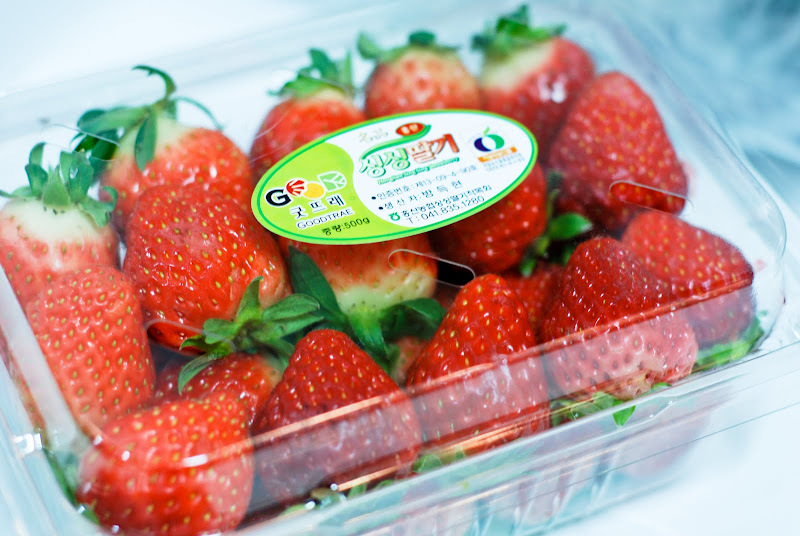 The only thing I've been looking forward to when going to the grocery store lately, is stocking up on these beauties (somehow they're in season over here in Korea, and boy are they yummy)! Why yes I purchased 4 packages of these lovelies...don't judge... at least we have some sort of "food" in our fridge now. Sounds like a plan to me. I don't hate grocery shopping, but please don't make me clean the bathroom. I will clean every other room, I just hate cleaning the bathroom. Please make hubby do it. I hate grocery shopping because I feel like I come home with a ton of stuff, but none of it really goes well together for a meal. So then I have to go back for a few more things here and there. I need to be better about meal planning, and shopping accordingly. But I do love strolling the fruits and vegetables!!! 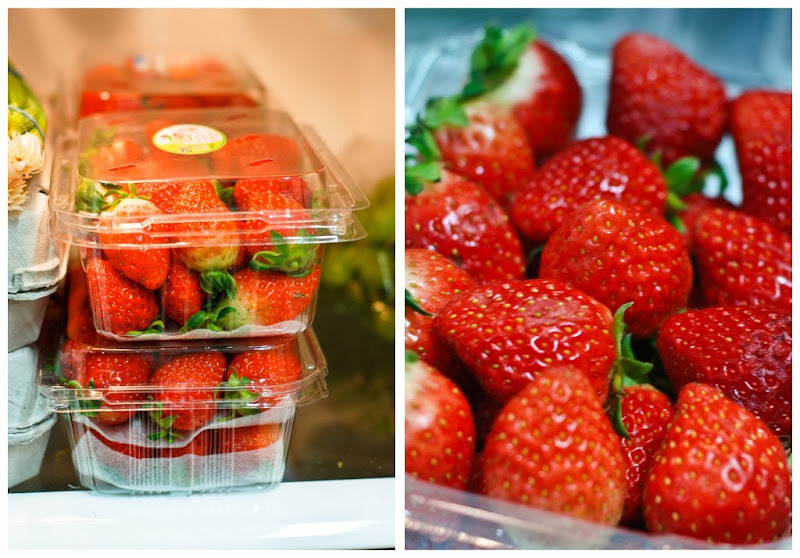 Yummy Strawberries!! I make it my goal to get in and out of the grocery store in 8 minutes or less - an old bachelor habit. :) Serenety likes to mosey on through and check out every aisle. Aaaaggghhh!